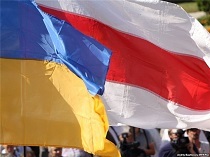 Last weekend many Belarusians came to Kyiv to support the pro-European demonstrations. Social activists, politicians and even the famous rock band​ Liapis Trubetskoy expressed their support for Ukrainians with their pro-European choice. They came to take part in the truly massive political protests – something which they are unable to do back home in Belarus. Though Belarus and Ukraine have a long shared history, the two countries differ significantly in many ways. While Belarusians have not yet gone through a true nation-building process, in many ways they live better than Ukrainians. Unlike Lukashenka's regime, Yanukovych's regime has many democratic attributes that make mass peaceful protests possible. The private sector also makes up a larger share of the economy and Ukraine's oligarchs play a significant role in its politics. They use their own money to finance other centres of influence, in addition to the authorities. Not everybody who wanted to actually managed to get to Ukraine from Belarus. On 6 December, KGB agents and traffic police stopped 53 activists who were travelling from Minsk to Kyiv by bus. Law enforcement officials explained that they could not let the bus continue on to Ukraine due to the poor weather conditions and the danger it posed to the health of the bus' passengers. As a result, the bus had to return to Minsk, and the activists got off the bus before it turned back and got to Kyiv by hitchhiking. Belarusian opposition leaders, including Uladzimir Niakliajeu of the Tell the Truth campaign​ and Yuri Hubarevich of the Movement for Freedom took the floor to share words of solidarity with the thouands of Ukrainains who were gathered on Maidan. It is not the first time that activists from Belarus have come to rallies in Ukraine. In 2004, hundreds of Belarusians with white-red-white flags took part in the Orange Revolution. Many people in Belarus and in the West try to draw parallels between the rallies in Kyiv and those that have taken place Minsk. Some are wondering why Belarusians cannot organise something similar in their own country. To understand this, one must remember several aspects in which Belarus differs significantly from Ukraine. First, unlike Ukrainians, Belarusians have not yet completed the process of nation building. Belarusians are much more like Russian-speaking Ukrainians in eastern Ukraine than the western Ukrainians or residents of Kyiv – who are the main participants in the protests. But even the residents of eastern Ukraine use its national flag, emblem and anthem while Belarusians still use Soviet symbols. Yanukovych, the President of Ukraine, while coming from the east of Ukraine and having Belarusian roots, consistently speaks the Ukrainian language in public. In Belarus, even opposition politicians remain mostly Russian-speaking. All that makes it easier for Russia to influence Belarus. In terms of economic well-being, Belarusians live better than Ukrainians. The average salary in Belarus hovers around $600, while in Ukraine it is about $400. At the same time the level of inequality between the rich and the poor in Ukraine remain much higher in Ukraine than in Belarus. One of the Belarusian participants of EuroMaidan, Mikalai Dziemidenka, said that when compared to Belarus, Ukraine looks like a flourishing democracy. The opposition is well represented in parliament, and there is real and constant political struggle in Ukraine between different different political forces. Representatives from opposition parties actually run several cities – a scenario that remains entirely unrealistic in Belarus. In Belarus, real politics rears its head out only once every five years during the presidential election. According to the Constitution of Belarus, Lukashenka has vast powers which make other political institutions meaningless. Yanukovych must keep a watchful eye on what is going on in parliament and monitor its activities. Albeit imperfect, Ukraine's separation of powers and the reality of divisions within the government itself is further evidence of the differences between the country. The head of the presidential administration and many other Ukrainian officials resigned after the recent brutal crackdown on demonstrators in Kyiv. After the Minsk protests in 2010, all Belarusian officials either maintained their silence or condemned the demonstrators. Moreover, President Yanukovych and his government have long been negotiating Ukraine's european integration. Lukashenka's regime cannot even begin such negotiations as it prefers to remain financially and politically dependent on Russia. On 9 December, Polish Foreign Minister Radoslaw Sikorski publicly spoke out against impeaching Yanukovych​, which is technically and politically feasible, though remains totally impossible in Belarus. Consider the fact that Yanukovych is the fourth president of Ukraine and recently met with his predecessors to discuss the crisis. Belarus has only one president it gained its independence in the 1990s. Another key difference is that Lukashenka's power relies on police and law enforcement agencies while Yanukovych relies heavily on those oligarchs who are willing to provide financial support.​ Many people call the Ukrainian oligarchs the real seat of power in the country and for good reason. They financially support the existing political structures and determine the amount of airtime politicians get on TV. For example, the channel 1+1, which is owned by oligarch Ihor Kolomoyskyi, gives more airtime to Arseniy Yatsenyuk, from Yulia Timoshenko`s party. Another channel Inter, owned by Dmytro Firtash, likes to invite Vitali Klitschko as a guest on its programmes. Not a single TV channel in Belarus can promote opposition politicians. Several Ukrainian oligarchs, such as Vadim Novinsky and Kostyantyn Zhevago, are members of parliament. Each of their respective wealth is estimated to be about $1.5-2bn. Rinat Akhmetov, Ukraine's richest man whose personal wealth is estimated to be about $15.4bn, is claimed to control Yanukovych's party in parliament. Belarusian oligarchs remain much poorer than their Ukrainian counterparts. Uladzimir Peftiev, the richest man in Belarus, whose personal wealth is estimated to be about $1bn, would have a spot on a list of the top 10 richest people in Ukraine. What's more, they do not have any real political power in Belarus. Belarusian "oligarchs" are little more than managers who can be replaced and stripped of their property at any moment. There is no rule of law in Belarus, so all businesses remain at mercy of the regime. Although private philanthropy for social and non-political projects in Belarus is slowly developing, Belarusian entrepreneurs shy away from openly political projects. They fear that the government may take away their business and punish them personally. That is precisely what happened to Andrei Klimau in 1998, one of the most promising entrepreneurs of Belarus at that time, who supported the opposition. Klimau has since already served several jail terms for his perceived political involvement. In the 1990s Andrei Zhukavets had a successful business in Belarus and gave money to the Youth Front. In 1999 the authorities started a criminal case against him, so he decided to emigrate to Poland. To this day the Belarusian authorities are still seeking Zhukavets’ extradition. Having seen a few examples like those described above, business people are afraid to be openly involved in politics. Will the recent events in Ukraine affect Belarus? Lukashenka's regime is closely monitoring the situation, although the state media and officials do not speak much about the events transpiring in Kyiv. It seems that the authorities have not yet developed their strategic ideological approach to the Ukrainian protests. On the one hand, if Ukraine drifts to the east, Lukashenka may lose his status as Russia's only loyal ally in the west. On the other hand, if Ukraine strengthens its ties with Russia, Belarus will look more "normal" to the West and its own people, thus justifying the status quo. If the protests in Ukraine go devolve into turmoil, the Belarusian state propaganda machine will use it to praise Belarusian stability and condemn the dangers of an uncontrolled democracy. If it ends peacefully and leads to positive developments, this will give hope to Belarusians that changes – perhaps slower and through a different route – will also come to Belarus. The Belarusian IT industry has had a highly successful year. In 2013, the sector achieved a breakthrough in cooperation with public educational establishments. The IT companies hosted 7 new branches of technical universities, while the decision to found an IT University became a milestone in 2013. In the first three quarters of 2013 the high tech park has shown a strong 155% growth, with its exports totaling $307m. Seven Belarusian companies entered the global "Software 500" rating, and the country became third in the former Soviet Union by the volume of its IT market. For all the grave aspects of a Soviet legacy, Belarus inherited from the USSR a sound system of secondary and higher technical education. Founded in 1964, the Belarusian State University of Informatics and Radioelectronics became an important hub for the Soviet IT industry. It helped to secure a regional head start for Belarus at the dawn of the high tech era. The high tech revolution has tilted the balance in the three core components of business – capital, infrastructure and workforce – heavily to the advantage of the latter. While lacking capital and a modern infrastructure, in the late 1980s Belarus boasted around 10,000 students of informatics and radioelectronics, ready to drive its new economy. The Belarusian authorities first turned their attention to the IT sector in 2004. However, President Lukashenka initially saw the value of IT development “mainly in securing the transformation of the traditional branches of the [Belarusian] economy”, citing industry and agriculture as being the most important sectors for the young nation. After an intense public debate, including some warranted scepticism, the President issued decree № 12 “On the High Technology Park”. Its first four residents joined the park in 2006. Conceived as a virtual entity – a special legal and tax regime for high tech companies, the technology park de facto covered the territory of the whole country. The park has provided its residents two major advantages: a preferential tax regime and a stable regulatory environment. The companies registered in the technology park pay a fixed income tax of 9% and receive exemptions from corporate and capital gains taxes, VAT and custom duties. The rules of doing business in the park have remained unchanged since 2005, which is unique in the notoriously fluid Belarusian business environment. Contrary to the narrow vision of the Belarusian leader, the park has established itself as a major export-oriented project. In the first three quarters of 2013, the domestic market revenue of the park residents stood at $40m, making up only 12% of the overall revenue of the park. The park has shown a healthy 155% annual revenue growth. As of 1 October, its residents employed over 16,000 people, which is 8% more than a year ago. In September 2012, the technology park celebrated achieving $1bn in total revenue since its founding. However, the biggest successes of Belarusian companies constitutes outsourcing, typically seen as a less lucrative segment of the IT market. This means that the residents of the park largely act as foreign sub-contractors for their Western counterparts, rather than as full-cycle IT product developers. The outsourcing segment has traditionally been the domain of the developing world, led by India with its cheap and abundant labour force. 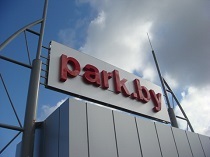 In the competition for outsourcing contracts, the park touts Belarus’ geographical and cultural proximity to the West and the quality of its services as its main competitive advantages. When it comes to outsourcing, the flagship companies of the Belarusian IT already have some bragging rights. Four residents of the park made it to the prestigious “The 2013 Global Outsourcing 100” list, with the national leader, EPAM Systems, breaking into top 30. In 2012, the analytical company Gartner Inc. placed Belarus among the top 30 countries in the world in providing offshore software development services. As for the segment of independent IT product development, the successes of Belarusian companies are rather modest. To compete with global leaders in this segment, such as Israel, the country lacks not only the managerial competencies and organisational capacity of its IT sector, but also infrastructure, capital and closer integration with the West. Wargaming.net stands as a notable exception. The company has developed the award-winning online game World of Tanks, which has over 60 million registered players. Despite the generally positive outlook, two types of risks hold the Belarusian IT sector back. The shrinking pool of IT workers presents the gravest challenge to the industry. Belarus is now simultaneously experiencing the ebb of university students due to the “demographic gap” of the early 1990s and a steady outflow of high-class IT specialists. In 2012, in the attempt to fill the void, the top three Minsk technical universities increased their student intakes for IT-related programmes of study to 2,307 freshmen, up from just 1,616 the previous year. However, evidence shows that the increased enrolment comes at a cost of declining professional qualifications. The general investment climate and the image of the country constitute the second barrier. While improving its position in the industry-specific ratings, Belarus consistently trails in the most common international indices used to judge the country’s investment appeal. For instance, in the World Bank’s “Doing Business 2013” Belarus occupies 151th place on trading across borders and 129th on paying taxes and in the 2013 Index of Economic Freedom it is close to the bottom at the 154th place. Besides, a number of the so-called “problems of growths” of the Belarusian IT sector comprise insufficient managerial and marketing experience, underdeveloped corporate culture and low international brand name recognition. As of the late 2013, IT stands as the most attractive branch of the Belarusian service sector. The latest available statistics returned an average salary of $1,400 in the IT branch, more than twice as high as the country average. IT remains the most dynamic branch, dominating the Belarusian startup scene in the years 2012 and 2013. If the current rate of the IT sector growth continues, the branch will achieve the ambitious goal of $1bn in yearly revenue well before the end of the decade. If that comes true, Belarus will abandon the industrial rubble of the Soviet era for a share of the global high tech pie.